METRO GROUP opens nexxar’s new reporting season - nexxar lab. 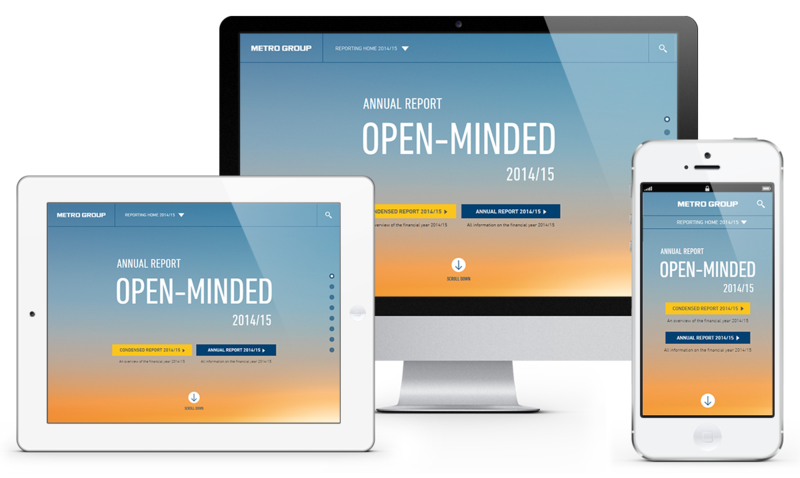 Under the main theme “Open-Minded” METRO presents an innovative annual report. nexxar continues the inspiring concept in the online report. METRO’s Annual Report 2014/15 is nexxar´s season opener – and an impressive one, as we believe. 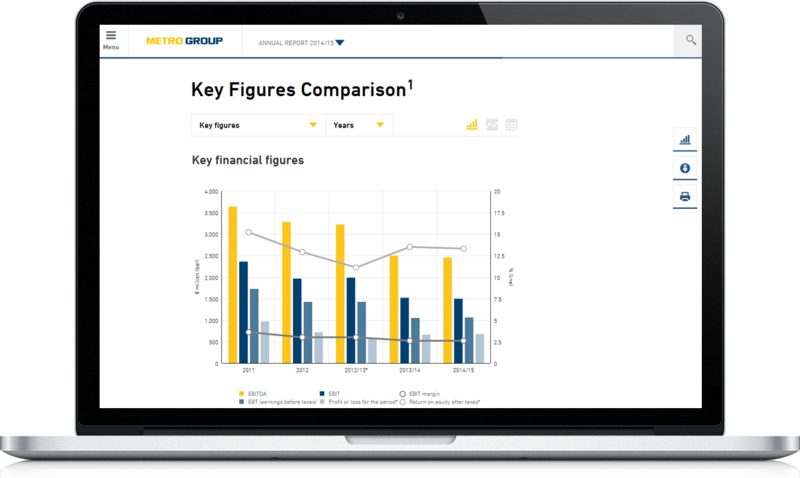 The landing page provides fast facts within an animated waterfall page and allows users to choose between the compact Condensed Report and the full Annual Report 2014/15. 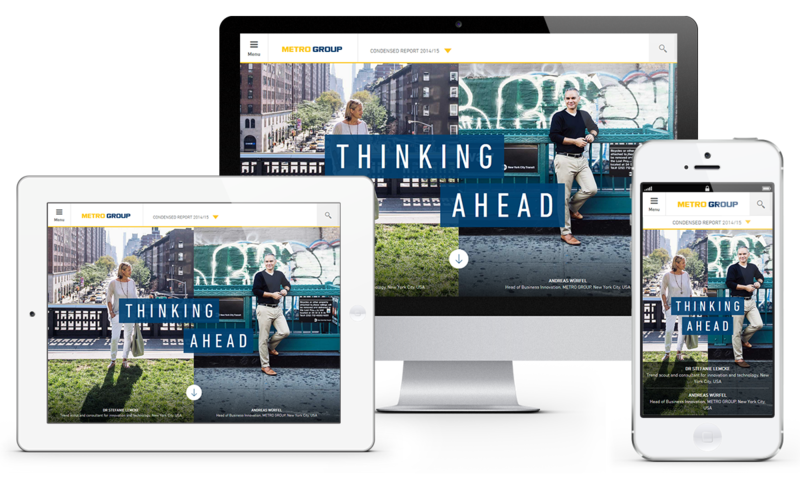 By means of responsive web design the reports are suitable for all kinds of viewports and devices. 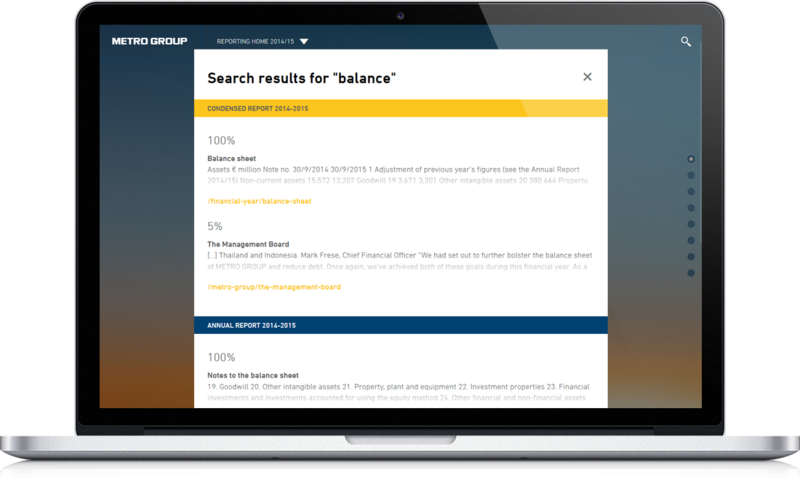 In addition, the search function on the landing page includes both reports and visualises the search results for each report separately. The Condensed Report gives an overview of the financial year 2014/15. Information is more compact and large text blocks are brightened up by visual elements, quotes or key figures to enhance readability. Short videos are embedded at suitable places. 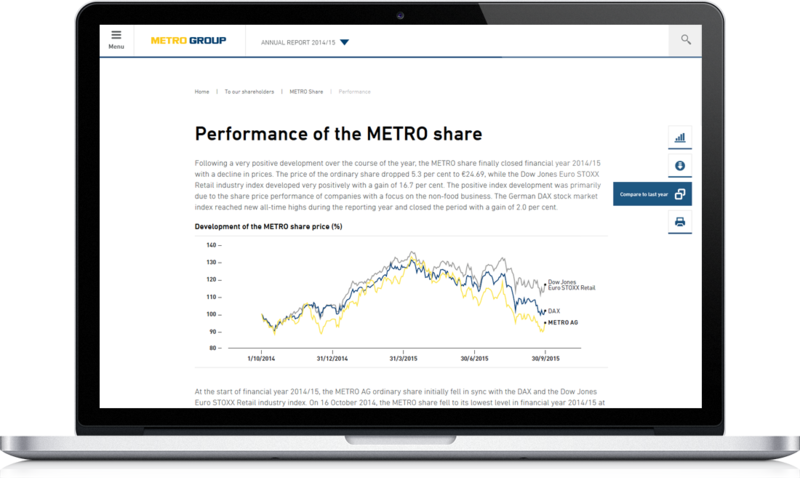 The attractive magazine of the Condensed Report portrays some of METRO´s innovation projects. Rich imagery accompanied by nifty animations and lively texts are a good recipe for fresh online storytelling. The four inspiring topics invite to read further: thinking ahead, being open, enabling new things and driving innovation. The photo of the Management Board is a special eye-catcher: With great enthusiasm for the pioneering 3D printing technology, the members of the Management Board were scanned and printed as three-dimensional models. The photo was taken of these figures and the making-of video shows the technology and communicates the innovative spirit. This is unique and certainly will stay in mind. Users who are interested in content at a very detailed level go for the full Annual Report 2014/15. The high amount of information is arranged in a clear menu structure which allows fast and easy navigation. Optionally, the find-as-you-type search function is another quick way for users to find specific contents in this report. Links to compare the pages to last year’s report, XLS download for all tables and related links enhance the pages with suitable information. 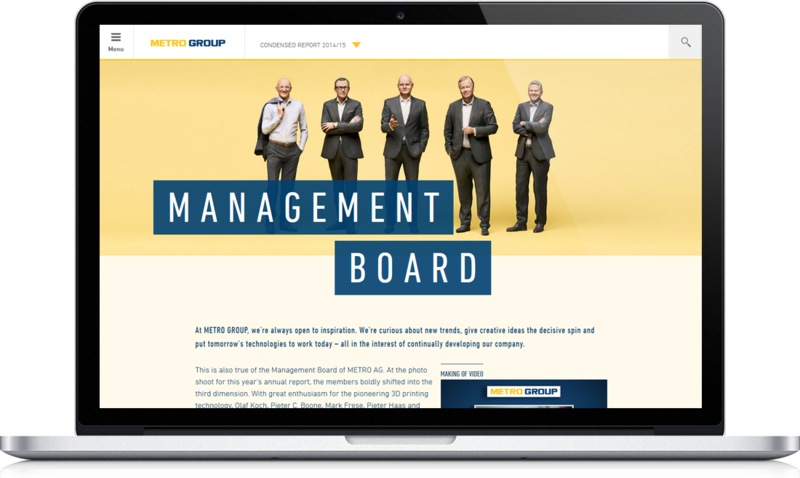 A layer glossary and the link to the key figures comparison tool on each page complete this year’s Annual Report of METRO GROUP.